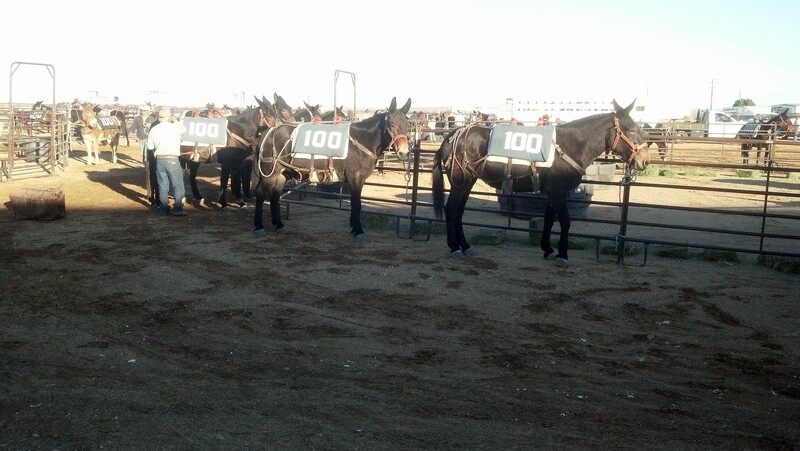 October 30: 100 mules, celebrating the 100 year anniversary of the Los Angeles Aqueduct, arrived an the new Community Center at Mojave Air & Space Port Wednesday afternoon. The stop in Mojave marks about the half way point between the aqueduct’s main diversion dam about 10 miles north of Independence, and the Los Angeles Equestrian Center in Griffith Park, which the animals are expected to reach on November 11. The wranglers and animals began the 240-mile voyage on October 18, and are approximately 13 days into a 27-day voyage. The historical and artistic event is the project of Lauren Bon, of Metabolic Studios, and designed to foster conversations about water and water consumption in the Ownes Valley and California. The physical walk will also be accompanied by an artistic audio transmission of water running at the source of the aqueduct, that will be performed at stops along the way. The animals will be available for public viewing on Thursday, October 31, from 12 to 2 pm. This entry was posted in Community events on October 30, 2013 by mojavefoundation. Thanks Todd for the great work and the great news gathering about the events that are going on in Mojave!